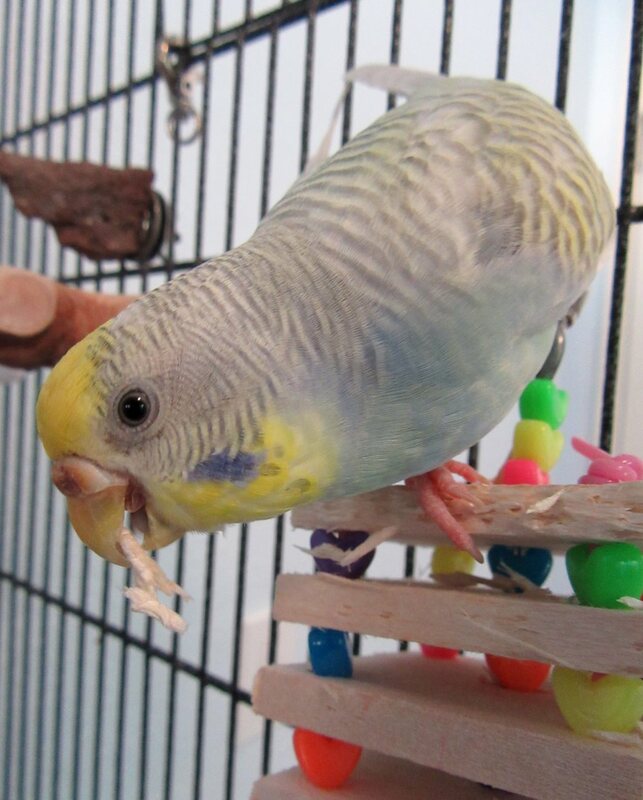 This entry was posted in Sunny and tagged budgie, budgie birthday, Cooper, parakeet, Sunny by Michelle M.. Bookmark the permalink. Happy Birthday, Sunny! You are a little love. 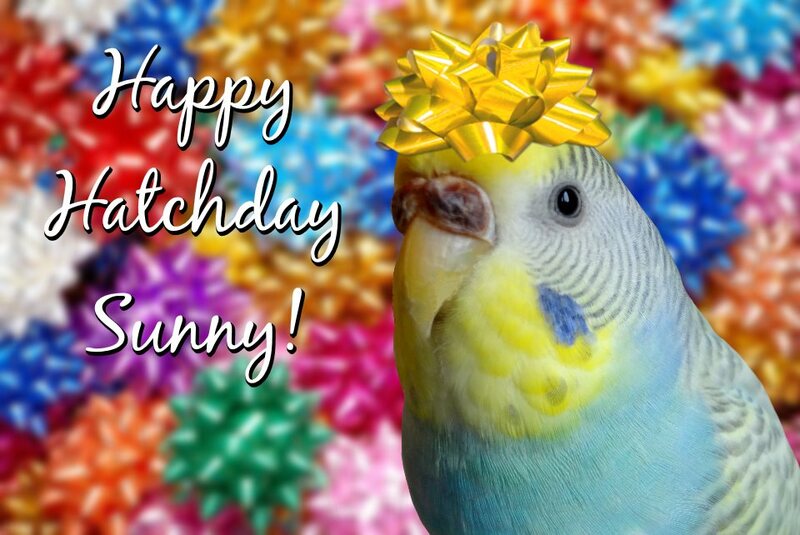 Happy Birthday Sunny! You are greatly loved by everyone. Would Sunny and Gari get along? Who knows? 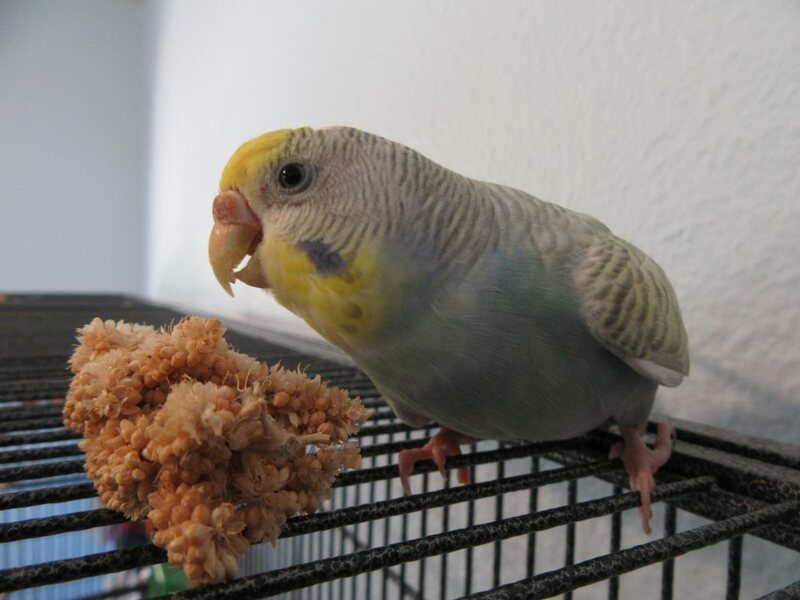 She gets along with Cooper and Emmy, but they’re females, so they do squabble. I think it helps that they have a large cage so they’re not on top of each other.